"The quality landscape products you expect, and the service you deserve!" 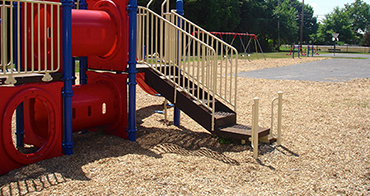 Processed from Indiana’s finest hardwood and manufactured on our site. Rich dark chocolate brown in color. 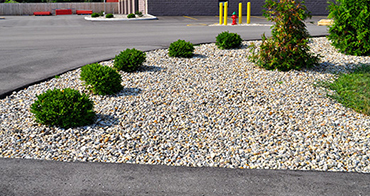 A variety of sizes and colors provide low-maintenance texture and ground cover for many landscaping applications. Order Today and We Can Deliver Tomorrow! SHOP NOW! 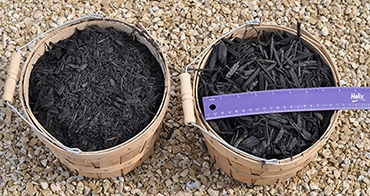 McCarty Mulch uses only the highest quality raw materials available. See the difference in quality and consistency in our side by side comparison. 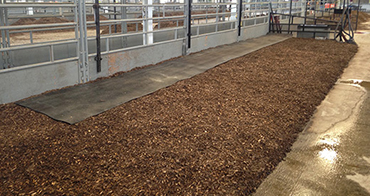 Composed of clean, small pulpwood chips ground down to 1 inch or less. Low maintenance and provides good a good cushion for activity. Looking for less maintenance? 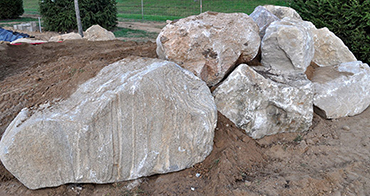 #5 River Rock is golf ball sized & smaller, and is the most popular & affordable decorative rock. White and grey in color. A good way to border structures, enclose beds, or prevent erosion. Beige to light brown in color, sold by pound or pallet, and covers approx. 22 face feet per ton. 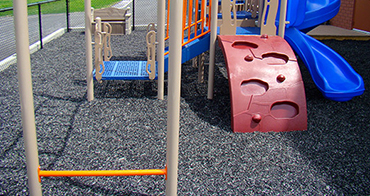 Made of recycled rubber tires, this mulch is shock absorbent and weather resistant, good for playgrounds and certain landscaping. It is non-porous and a natural weed barrier. 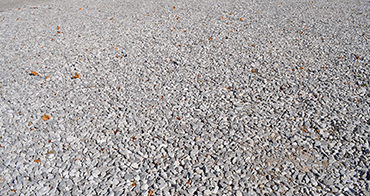 Our driveway grade gravel made of machine crushed local stone. The more angular shape locks together and reduces movement and scattering caused by vehicle traffic. Available in a variety of sizes to add texture for landscaping, water features, or outdoor walls. Generally rounded, some have freshly broken faces which reveal dramatic colors. 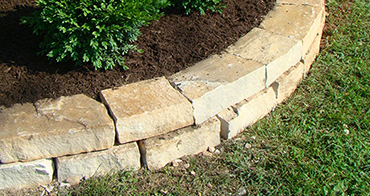 From the highest quality mulches, to decorative rock, top soils and everything else in between. We will do everything in our power to give you the quality service you deserve at an affordable price!